When you are looking for some style and class, turn to the jewels! Think of the way jewels accentuate your outfit when you step out on the town. Jewel tones in the home have exactly the same effect. When you want to get your bling on, jewel tones will highlight the best features of your home. And don’t think that jewels tones are excessively bright and gaudy. Sapphire blue, turquoise and emerald green can be understated if used in all the right places. 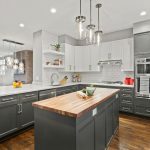 Think feature walls, think signature pieces of furniture and you are on the road to one of the hottest trends in Chicago condo design right now. Lead the way – don’t follow! Traditionally people thought that condos didn’t lend themselves design-wise to wallpaper. Small rooms can become swamped and appear even smaller with the wrong wallpaper choice. As a result, condos across America have walls that are mainly painted. But Chicago is leading the way with a change in attitude here. The textures given by wallpaper (more on textures later) can transform a room. People used to shy away from wallpaper because they felt they were stuck with it. No more! Modern wallpapers are easy to remove, so you can change them quickly and conveniently. We recommend geometric prints and mosaics to make the most of your condo. Don’t think paint is the only way! The days of the understated condo are over! We have been through a massive trend for muted colors, magnolia? and a lack of texture. Let us tell you those days are over my friend. 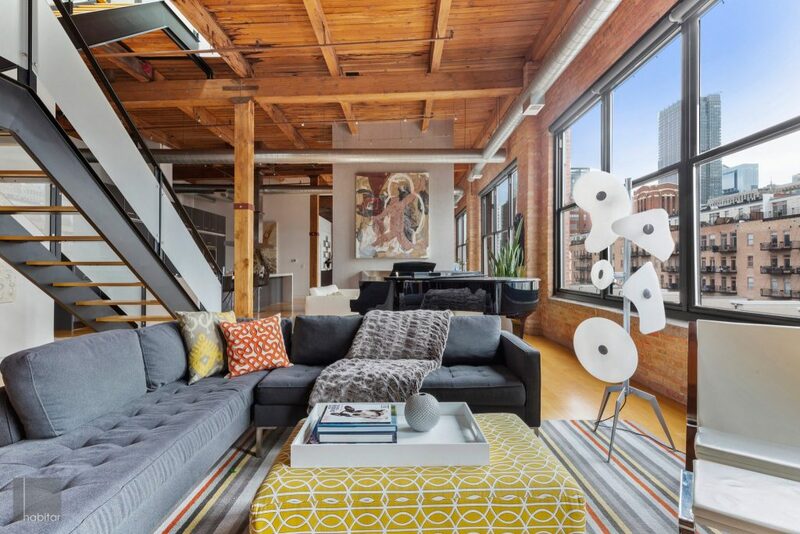 If, like us, you are a fan of color and texture then this Chicago condo trend will have you whooping with delight. How about adding textured fabrics to one or more of your rooms? How do you feel about a feature wall with a bold colored wallpaper? Love cushions? Fluffy, layered and beautiful is best! 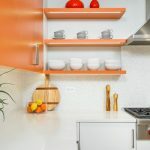 If you are looking to bring your Chicago condo bang up to trend, then this is going to be the one that can encompass all of the others on this list. With the size of the rooms in a condo always on your mind, think light floors to make the best use of the valuable space you have at your disposal. Dark wood floors might hide a multitude of sins, but light wood feels fresher. And it is one of the Chicago condo design trends that we’re really excited about this year. Honey, gray and whitewashed have all hit the shelves this year in terms of wooden flooring. And with textured finishes being popular too, there is so much scope to get your condo right up to where it should be. This is a trend that is worth every dollar of the outlay. Hygge is here in abundance right now. We love the way nature sits within the home as well as from the outside. We all want to relax at home, so the cozy hygge style is absolutely perfect to bring us peace and harmony. Buried deep in Danish life, hygge is a trend that has been popular across the world over the past few years. And there is great reason for this. Your condo is your sanctuary from the hustle and bustle of the Chicago streets. You want it to make you feel warm inside and out. Hygge and cozy elements will take away all the stress and have you ready to face the world again! It would be great to have a spacious laundry area in your Chicago condo. But let’s be honest with ourselves – there are better uses of valuable space. Put your laundry area to work as effectively as possible. Sliding doors to hide the washer and dryer are an amazing little trick to make use of space without having to shout it out to the world. Doing the laundry isn’t the most exciting part of your life, so make the station as compact as possible by stacking machines, using recesses and generally boxing clever. 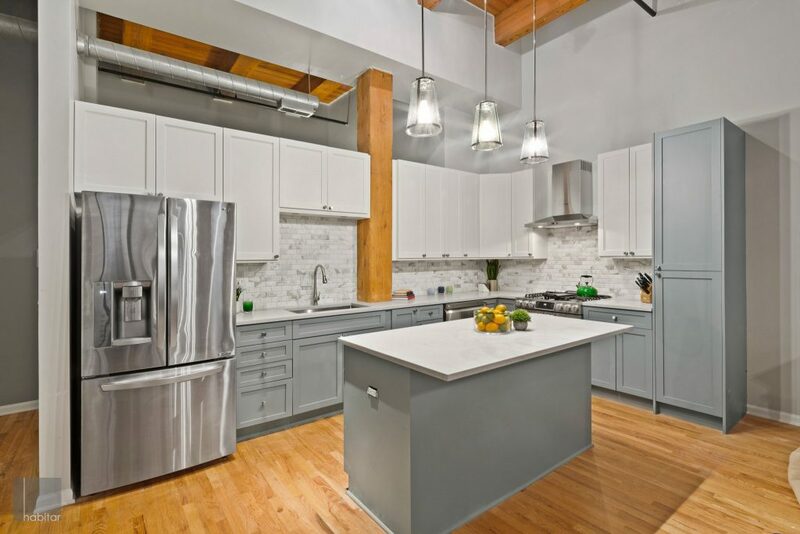 This is a Chicago condo design trend for now and the ages. Your condo is your castle. Make it look and feel like a million dollars by using these amazing design tips.